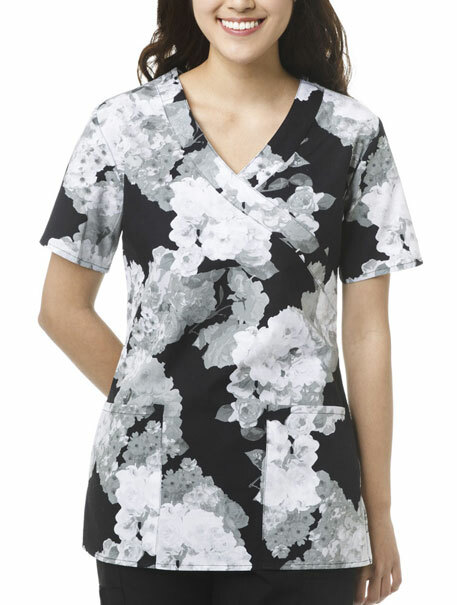 This Zoe + Chloe You're a Vision mock wrap scrub top is a vision of beauty with a colorful blue and white paint splatter print. 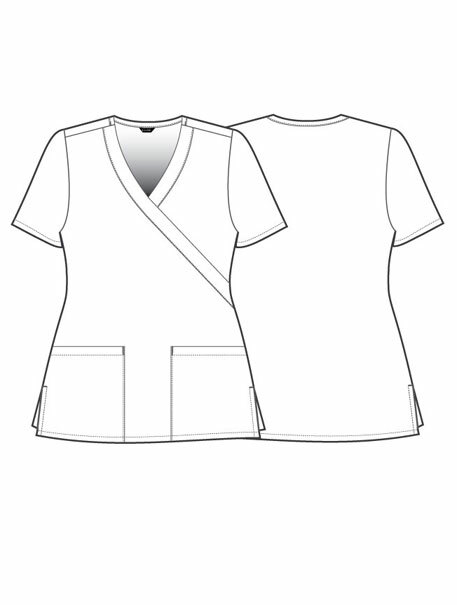 This 100% cotton scrub top features two roomy patch pockets & a side split hem. Top length is approximately 26 inches, measured from a size medium. 100% Cotton.